Carry the serene feeling of nature wherever you go with this fine-gauge, sweater-knit pullover. 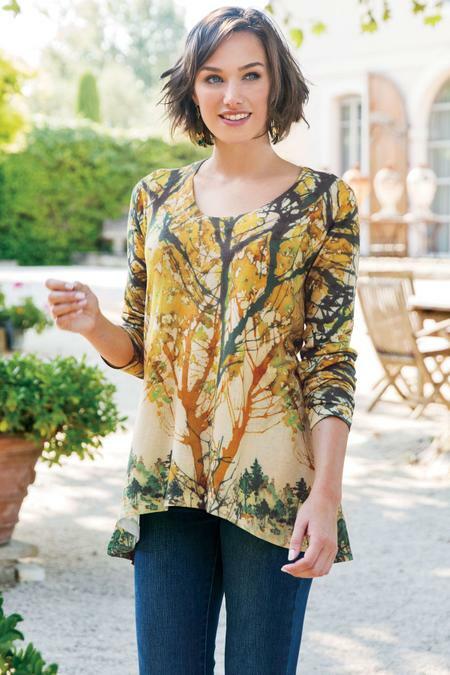 Designed with a lush wooded-glen motif, this eye-catching tunic has long set-in sleeves, a sleek scoop neckline, and dips slightly lower in the back to perfectly pair with skinny pants or leggings. Poly/spandex. Misses 27"/29" long.